يشكل Balmain Backpackers بموقعه الممتاز في سيدني نقطة انطلاق جيدة لاستكشاف هذه المدينة النابضة بالحياة. يمكن من هنا للضيوف الاستمتاع بسهولة الوصول إلى كل ما تقدمه هذه المدينة النابضة بالحياة. كما يمكن الوصول بسهولة إلى Latvian Consulate, الكنجتون بارك, Dawn Fraser Baths Pool. يقدم Balmain Backpackers خدمات لا غبار عليها وكل أشكال اللياقة وحسن الضيافة اللازمة لإسعاد ضيوفه. يقدم الفندق تخزين الأمتعة, Wi-Fi في المناطق العامة, ركن للسيارات, غرفة عائلية, مرافق للشواء لضمان الراحة القصوى لضيوفه. تنعكس أجواء Balmain Backpackers في غرف الضيوف.الاتصال بشبكة الإنترنت (لاسلكي), غرف لغير المدخنين, مكتب, تلفاز, مشغل أقراص DVD/CD هي بعض الميزات الموجود في العديد من الغرف. إن حديقة هو المكان الأمثل في الفندق للاسترخاء وتفريغ طاقتك بعد نهار طويل. إن Balmain Backpackers هو خيارك لخدمة الفنادق الراقية في سيدني. Don’t stay here. - Everybody’s smoking in the rooms - roompartys every night until 2am - beds are VERY noisy - livingarea is in a carpark - no keys for the rooms - only 1 bathroom ... Don’t want to write to long, .. I want to leave earlier! I didn’t know what a bed bug looks like until I stayed at the Balmaim backpacker. Too late to find a place at night. I was bites by bed bugs over the night and felt itchy in the next morning. There were many cockroaches in the sink in the shared kitchen. The parking space was rubbish everywhere. This place is a ways from most things in Sydney. You'll have to take the bus to the interesting parts of the city. It is great for people who are living in Sydney and looking for a low cost place to stay. It is grungy, the wifi is only in the parking lot, but it is cheap. There are opportunities to work around the hostel to reduce housing costs. Many of the other guests were staying long term which was fun, but different from me who was just traveling for a couple days. I just arrived after a long flight from Germany and wanted a room for my own. I got a small room with no windows, not completely clean bed sheet, and the room itself also looked a dirty. The bathroom, the common room and the "kitchen" including dishes, cups ... looked dirty and run down, too. The WiFi didn't work properly. Mails with text and WhatsApp but nothing more. Not even the facebook Apple or a normal internet page. The "breakfast" was only toast, no butter or anything else and i only got it 1 out of 3 days. I would never go back there again. Take 5$ more and you will feel way more comfortable and have a better position to the city. it was dirty smelly the people and the staff were unfriendly and weird We would never ever stay there again it smelt like someone had died in there .... i love hostel but this was more like a prison with dirty stinking conditions !! it is a hostel and not a hotel. yes. but it has everything you need and is by far the cheapest option you can find in sydney. 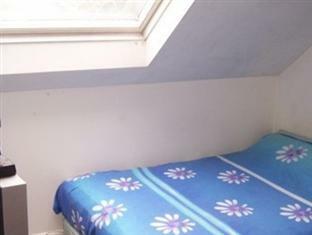 it has a vivid and international student flat-sharing atmosphere during the day and it is quite during the night. rooms ad bathrooms are cleaned every day. owner and staff are very helpful and easy to talk with. i would defo stay here again! It's definitely a backpackers, so don't expect a hotel. But the day manager was very helpful and friendly, the bed and bedding was fine - clean and comfortable, and the place was cleaned very regularly. About 20 mins to the city centre once you are on the bus. I enjoyed my stay. There were many tourists or working holiday people in Balmain Backpackers. 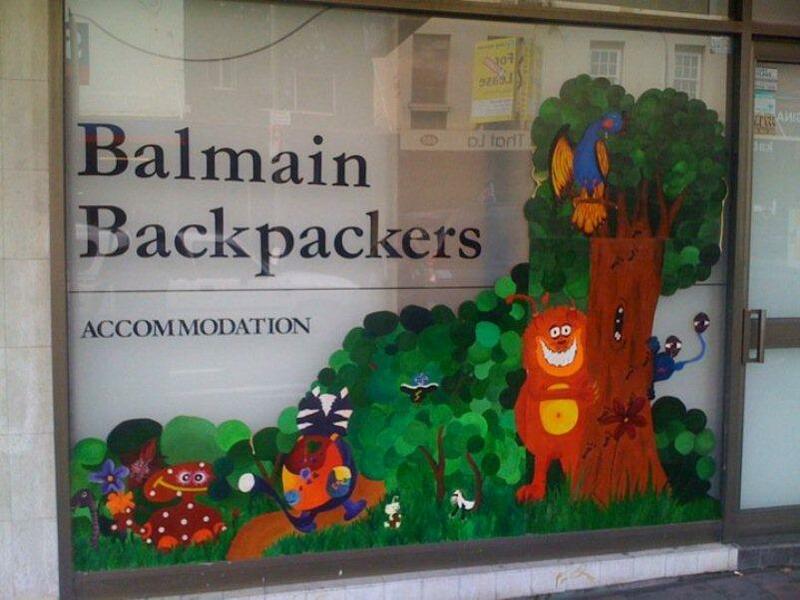 If you really like to communicate with people from all over the world, Balmain Backpackers would be the best! Our room was really dirty,matress very old and unconfortable,they never use the vacuum,the bin was full when we arrived and sheet with stain and bad smell.The bathrooms very very dirty.The breakfast was only bread and coffee/tea nothing else.The wi-fi don't worked just anytime in a garage.It's just cheap but orrible hostels with unfriendly staff. Please never stay there! The building in general is rather strange with mix of different rooms. There are plenty of bathrooms, unfortunately all of them are very filthy and decorated with puddles of urin and lots of mold despite being superficially cleaned each morning. We had a tiny twin room with a bunk bed. When we first stepped in, we couldn't believe our eyes: The mattresses were covered in dandruff and other materials I prefer not to know exactly. The blanket was full of stains and smelt disgustingly. They didn't provide us with clean sheets! Everything in the room felt very sticky but you woudn't want to touch anything anyway. My girlfriend cried a lot there and wanted to cancel the whole trip. Thus we had to leave two days early, actually three, but we couldn't find any other place on such short notice. So be careful when booking, because they don't give any refunds. They will provide you, however, with a nontransferable voucher. I am rather convinced that I won't make use of this "generous courtesy". tl;dr Don't stay there. My room at the Backpackers was one of the smallest ones and at first I was quite shocked about it. But when I got to know the other people in that room it wasn't so bad after all. The hotel wasn't the cleanest or the nicest on I stayed in but the atmosphere and the other people were the best. I really liked the common rooms and it was good that there were enough bathrooms in the hostel. And the location at Balmain was actually quite good because there were lots of restaurants, grocery stores, bars, bottle shops and pharmacies around. Bus stops were near and there was taxis going all the time so it was also easy to go see rest of Sydney. I would recommend this hotel to people who are open minded and social and aren't afraid of a little mess. Der Zustand des Gebaudes ist schlecht, weit ausserhalb des Zentrums und z.Zt. defekte(bzw. beschaedigte) , nicht empfehlenswert das Preis-Leistungsverhaeltnis stimmt nicht. 가격이 싸기 때문에 장기투숙자가 많은 백팩커입니다. 시드니 최저 가격이란 소문이.. 화장실 많은 것도 장점. 하지만 침실 안에는 청소가 전혀 안 되고 있으며, 특히 14인실의 경우 굉장히 너저분 지저분한 상태. 시티 나가려면 버스 타야하는 점. 가장 큰 단점은 주방에서 요리가 힘들다는 점. 주방이 두 개지만 코딱지 만하고 스토브는 네 개중 두 개만 작동상태. 물 끓이려면 십오분은 족히 걸림. 거기다 식사때 되면 애들이 바글바글. 여기서 살면 빵 구어먹고 나가서 사먹는 걸로 때우게 됨. 그 외에는 장기투숙자가 많아서 분위기가 그래도 괜찮음 점 등. 동내가 조용하서 시끄러운 거 싫어하는 분은 여기가 좋을 것임.